Enterprise services offered by Communication Service Providers (CSP) have traditionally required the installation of multiple hardware appliances at the customer site in order to deliver mainstream functions such as routing, firewall and VPN. The customer premise equipment or CPE used to accomplish this is typically deployed on proprietary or specialized WAN technology with dedicated appliances used to implement different network functions. In addition, WAN traffic generally flows over-expensive, private lines using MPLS technology and the CSP provides the management systems that are required to operate and maintain the network. This approach has the benefits of guaranteeing enterprise customers with reliable network services and helps to ensure that service level agreements can be met. On the flip side, it offers little flexibility for businesses who require more capacity or additional services as it lacks the agility needed to quickly respond to new business opportunities. Time to revenue ultimately suffers as CSPs struggle to provision new services, which in turn slows the innovation cycle and delays growth. 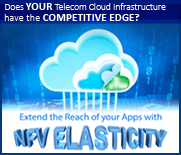 Adaptability and flexibility challenges can now be overcome thanks to Network Function Virtualization (NFV) elasticity which allows network services to be moved around different locations in the network, both at the service provider edge and on the customer premises. Specialized appliances are no longer required, as network functions like routers and firewalls become virtual network functions (VNFs) and can run on open networking platforms based on Intel architecture in the cloud as well as at the branch office. While physical service functions require a truck roll to deploy a new service, NFV provides the ability to bring virtualized service network functions to managed network service customers much faster. Although standard IT servers may be considered for deployment of vE-CPE on the customer premises, white box appliances offer a reduced CAPEX alternative for deployment in volume. Advantech’s white-box vCPE offering embraces CSP disaggregation strategies through NFV and enables a more cost effective separation of hardware and software in the provisioning of zero-touch appliances installed at customer branch offices. The FWA-1010VC, a table top box and the 1U rack mountable FWA-2320 are both based on the Intel Atom Processor C2000 system-on-chip formerly codenamed ‘Rangeley’. Intel QuickAssist and DPDK support provide the technology needed for up to 10x accelerated packet handling as well as encryption and compression offload. 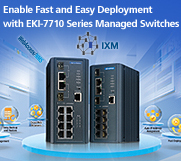 Ranging from 2 to 8 Atom cores the two platforms offer 500 to 1500Mbps of IPSec encrypted traffic throughput, depending on their configuration and targetcost-sensitive entry level-to mid-range vE-CPE deployment. The FWA-3260 brings server-class performance into a cost and feature optimized 1U platform. The outstanding price/performance ratio and scalability of the IntelXeon processor D-1500 product family, formerly codenamed ‘Broadwell-DE’, enables higher performance with up to 16 cores and greater throughput with up to eight gigabit Ethernet LAN ports and 10GbEconnectivity for large scale branch and head offices. Watch out for the FWA-3261 variant soon to be announced. For NFV and vE-CPE to work, an ecosystem of vendors is required to virtualize network functions like routers, firewalls, load balancers, WAN optimization controllers and more. Operating system vendors and orchestration experts need to come together to provide the tested and interoperable building blocks needed for technologies like vE-CPE and SD-WAN to enable the new IP infrastructure. 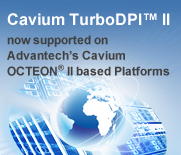 That is why Advantech is working closely with the key vE-CPE vendors, with several hardware and software bundles now available for evaluation test and the gratification of numerous CSP trials underway in live networks.